You must see this beautiful, well cared for home! 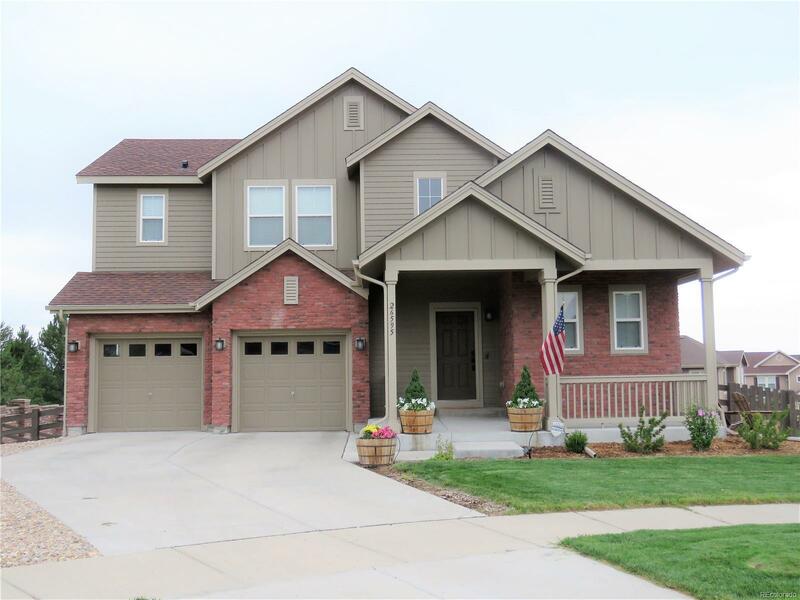 The home features a bright open floor plan, hardwood floors throughout the main level, vaulted ceilings, granite countertops, black stainless appliances. You will love the outdoor entertainment areas and professional landscaping. Upstairs you will find a large master bedroom with attached 5-piece bath and large walk-in closet with custom shelving. Also upstairs are 3 other bedrooms and another full bathroom. The lake can be seen from 2 of the bedrooms. The unfinished walk-out basement is just waiting for your custom finishing touches. Newer carpet, appliances, exterior, and interior paint. Large corner lot. Don't miss an opportunity to live in the beautiful community of Southshore with lake access, rec center, pool, open space, parks & trails!